The role of Catholic and Religious Cultural Heritage in an ambiguous era. Today, we live in an ambiguous era. This is true under almost all the perspective we want to assume, but it is particularly true when we analyze the relationship with the religious and spiritual aspects. On the one hand we live in a laic world, characterized for a technological and web-based development. On the other hand, religious wars are increasing, and the terroristic attacks are more and more frequent. In this context, Religious Cultural Heritage is called to play not only a religious role (representing the values of a specific faith) but it is called to play a cultural activity (representing cultural relevance of the spiritual sphere of the humankind). It is crucial, in this difficult and fragile equilibrium, for Religious Cultural Institutions, to adopt management criteria in order to run this peculiar institutions with efficiency and efficacy. The article will provide an overview of the main fields in which a more economic (but not necessarily monetary) approach is needed, with a specific focus on catholic cultural institutions. “Technology once served as a signpost for, or necessary precondition of, religious salvation, but in the Western world, technological progress and religious salvation have now converged – they have become the same thing” (Geraci, 2016). This sentence introduces some of the more important trends in contemporary society: humanity is experiencing a rising demand of spirituality and religions answers. This answers do not come only by traditional religions: the rising of “new religion movements” (Barker, 2013) and the birth of Secular Spirituality (Van der Meer, 2009) underline how persons are perceiving a substantial lack of ethical, religious or spiritual dimension within their lives. Within this framework, the role of religious cultural institutions need to be partially reviewed in order to better answer to the needs of a society hugely changed since those institutions have been created. Once created with the function of the material preservation, juridical protection and integration into pastoral life of the important art-historical patrimony that is no longer in regular use, (The Pontifical Commission for the cultural heritage of the Church, 2001), the ecclesiastical museum as well as the other religious organizations involved in cultural heritage, have now the opportunity to intercept the rising cultural (and religious) needs. In order to achieve this goal this paper argues that as for all kind of organizations, ecclesiastical museums and cultural-related organizations need to implement management criteria. These museums represent a huge cultural network throughout the country although in many cases the structures involved show a relevant need of a managerial approach. 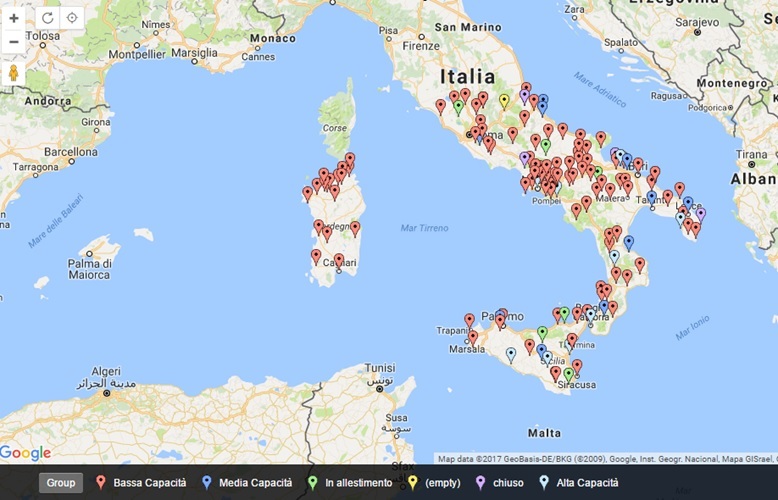 In Italy there is an association that represents a selection of the Ecclesiastical Museums: the AMEI (Associazione Musei Ecclesiastici Italiani). Aimed at contributing to the growth of the awareness about ecclesiastical museums, AMEI defines them as museums related to, or owned by the Catholic Church or its institutions as, for example, dioceses, parishes, shrines and religious orders. The ecclesiastical museums that joined AMEI are widespread on all over the national territory, and they include different kind of art collections and artifacts: object of sacred arts, archaeological, scientific and ethnologic collections. The encounter with the cultural expression of the territory on which they act. Commitment of local cultural associations. The results showed three different profiles: Ante-Management, Beginning and Skilled. The “ante-management” museums are characterized by a scarce adoption of new management criteria for museums. This profile indicate those museums that are devoid of website, do not have a social network activity and do not have revenues (or do not indicate it). Beginning Museums are those organizations that have started a management process. These museums have a non-updated website (mostly 1.0), have at least a Facebook account (but its usage is not professional), their revenues are only coming from the ticket selling operations and from the guided tours. Their valorization actions are rare and do not really affect the museums nor the territory. These museums are management-driven organizations: they presents a social-media strategy with updated websites and the proper usage of different social networks, they belong to cultural networks and city networks (they are often included in city-cards). Their off-line communication strategy include events and publicity/advertising actions. About the revenue models, these museums adopt an incoming diversification strategy, and they organize music and special events in order to attract visitors and provide them with a coherent cultural supply. Supporting a local, national and international communication plan, able to promote the values represented by the heritage preserved by the Ecclesiastical Museums. Realizing activities in order to create a proper management and preservation of the cultural heritage of the Ecclesiastical Museums and promoting the alignment of these museums with the national and international quality standards (MIBACT, AMEI). Museums as contemporary laboratories, open to the contemporary artistic research also of the young artists; (AMEI, 2016). Nevertheless, the switch to an economic approach for the Ecclesiastical Museums is not addressed to directly pursue incomes or profits: the switch is aimed, above all, at reaching the statutory objectives of the museums themselves. There is a growing interest, in Europe and internationally, in activities that offer both cultural and spiritual dimensions, and the most sensible evidence about this trends come from the figures of the religious tourism. Following WTO there are between 300 and 330 religious tourists worldwide (World Tourism Organization, 2014)), generating an estimated turnover of 18 billion dollars. 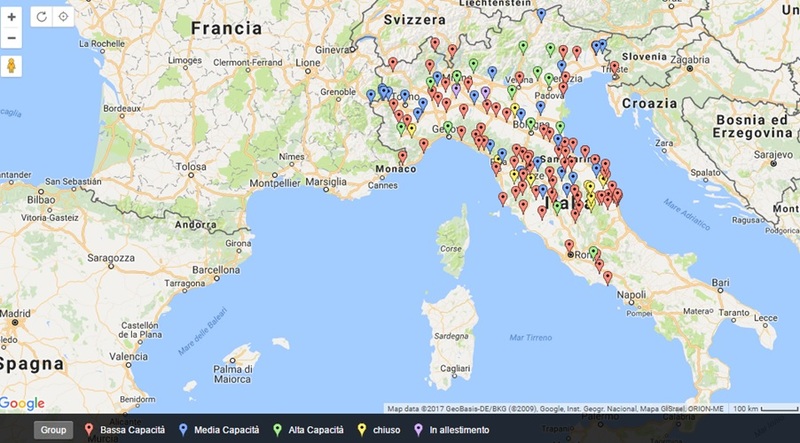 On the domestic side, the ISNART (Istituto Nazionale Ricerche Turistiche) showed that, in Italy, religious tourism is about the 1,5% of the overall flow of tourism, corresponding to 5,6 million of tourists a year, with a majority of international component (59%, almost 3,3 million tourists) (ISNART, 2013) coming from European (45,3%) or International countries (14.9%). With regards to the religious tourism, a relevant phenomenon is represented by the so-called pilgrimage routes (e. a. the Camino de Santiago or the Via Francigena) that provides tourists with a mix of cultural, natural, religious and historical elements. 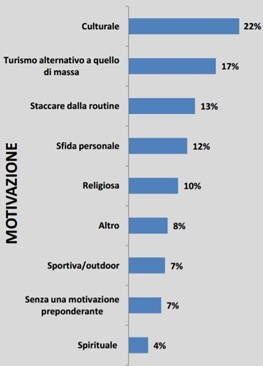 Figure 3: Motivations of tourism. Leaving out those motivations that could be referred to numerous kind of tourism and travel experiences (such as alternative tourism, non-routine tourism), the most important variables are represented by the cultural one, the personal challenge and the religious component. Ecclesiastical Museums should satisfy this set of needs, and it is not an easy challenge. It requires the development of cultural offers that are not only religious-centered so to create a dialogue with laic, atheistic or other-faith-believers, and it requires the creation of a set of cultural offers able to satisfy different cultural needs (such as music events, conferences, etc.). In doing so, Ecclesiastical Museums should not disregard the statutory objectives that want these museums as a living-heritage of the Catholic religious. For Ecclesiastical Museums, the growing needs of a spiritual-but-not-religious cultural experience showed by consumers’ behavior represent a great opportunity. The adoption of management approach in order to respond to these needs is maybe one of the most important challenges that they have to face today. Alpagu, H. (2014). Economy and Art: Why are Economy and Art closely linked? Journal of Economics Library: KSP Journals. Barker, E. (2013). New religions movements: their incidence ans significance. London School of Echonomics Research Online. Geraci, R. (2016). Technology and Religion. In W. S. Bianbridge, & M. C. Roco, Handbook of Science and Technology Convergence. Springer. ISNART. (2013). 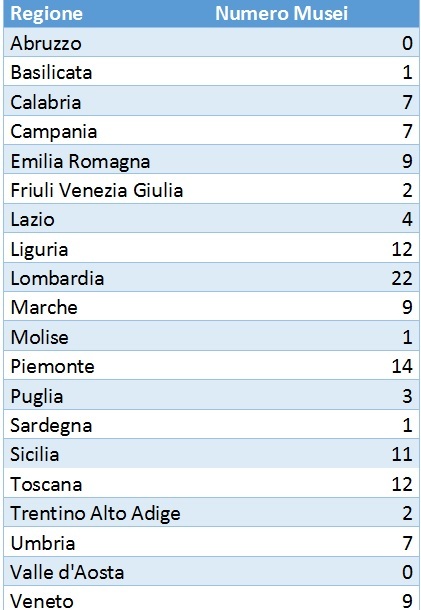 Rapporto sul Turismo in Italia. Klamer, A. (1996). The Value of Culture: On the relationship between Economics and Arts. Amsterdam: Amsterdam University Press. Lowenberg, R. (2010). Art & Economics: Towards a Cultural Ecology. greenmuseum working papers. MIBACT, AMEI. (s.d.). Accordo di Collaborazione. Monti, S., Casalini, A., & Marchesi, E. (2017). The Ecclesiastical Museums. The Pontifical Commission for the cultural heritage of the Church. (2001). The Pastoral Function of Eccleasiastical Museum. Van der Meer, P. (2009). Spirituality in Modern Society. MMG Working Paper. World Tourism Organization. (2014)). Tourism can protect and promote religious heritage. WTO. Audience development or audience empowerment? Let’s be contemporary.